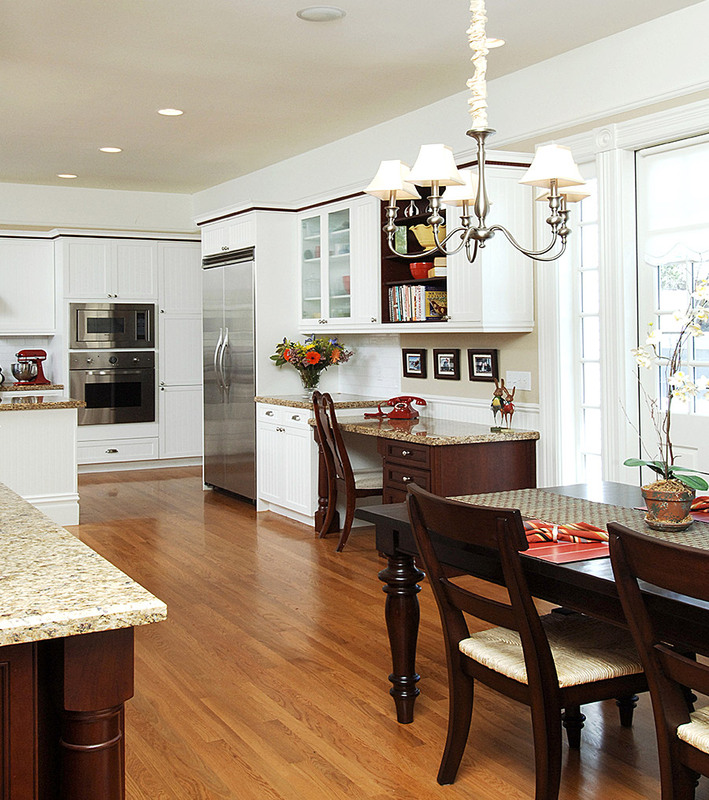 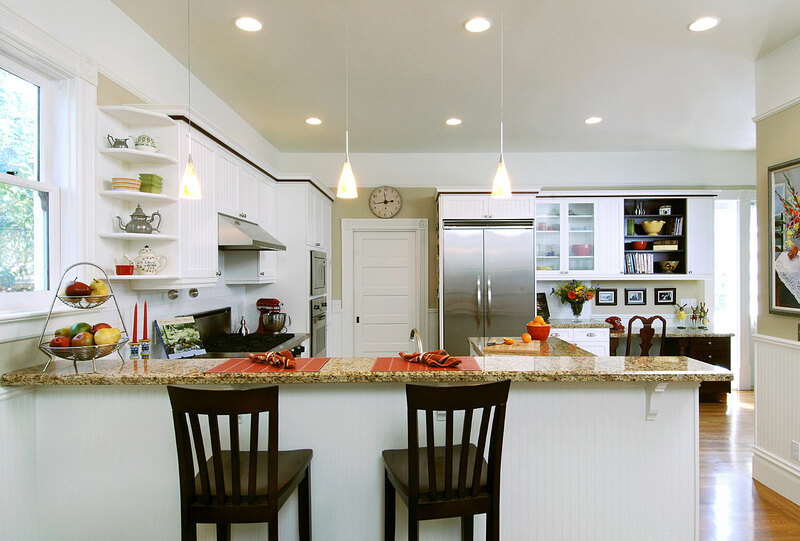 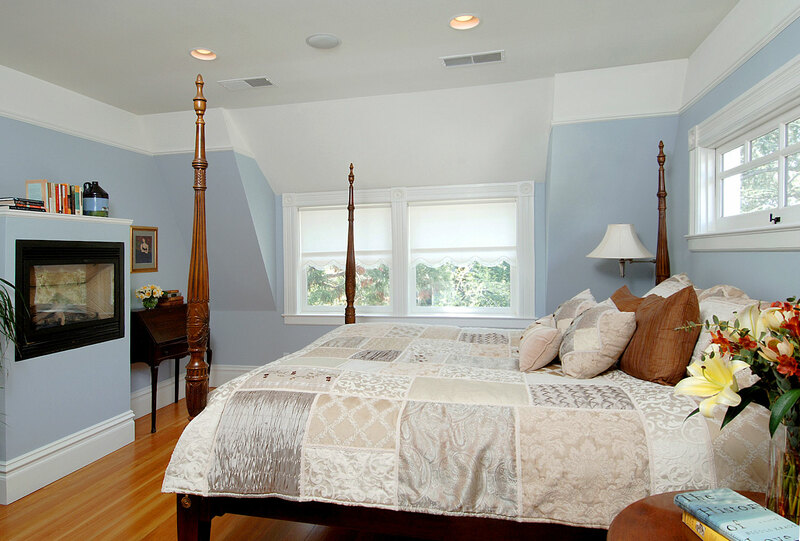 This historic, Colonial-style home kitchen remodel and upgrade improves functionality while staying appropriate to the original architectural style. 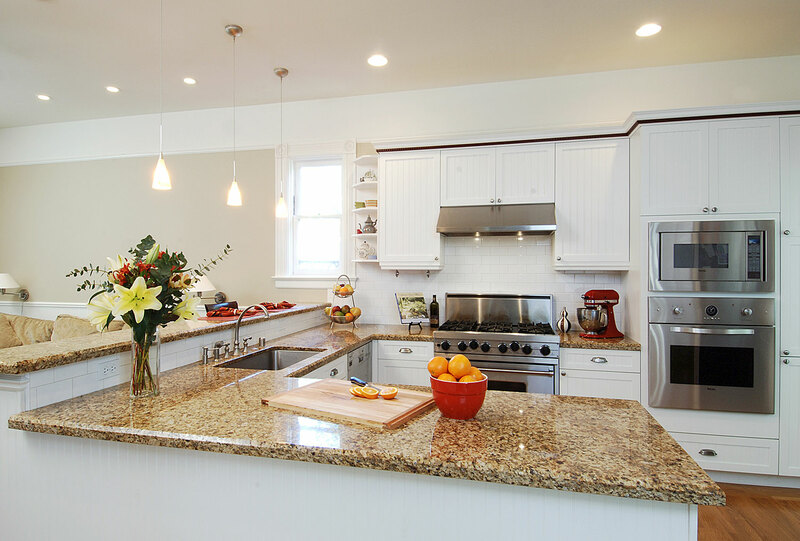 This new, expanded kitchen took up the footprint of the original plus the adjacent laundry and powder room areas. 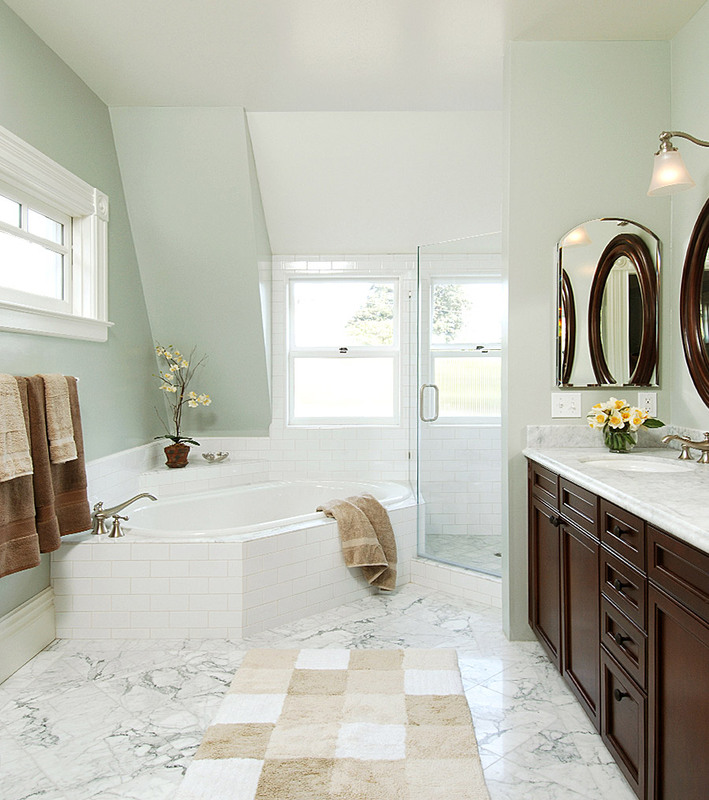 Structural considerations dictated an angled-tub with corner shower arrangement, creating a generous space in front of the vanity and maintaining a luxurious overall feel to the master bath.